Supports 36 - 42 gallon bags. 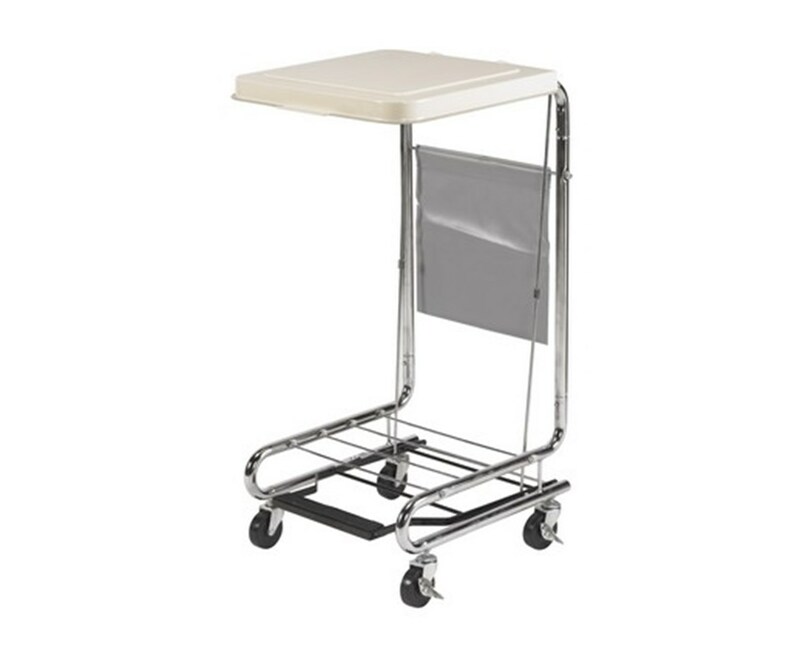 This hamper stand by Drive Medical features a white, poly-coated 18" x 19" steel lid that can be raised or lowered easily by a non-slip pedal. The hamper supports 36 to 42-gallon bags and glides easily thanks to 3" locking casters. The chrome-plated steel frame is attractive and simple to maintain. The product ships knocked down and comes protected by a limited lifetime warranty. 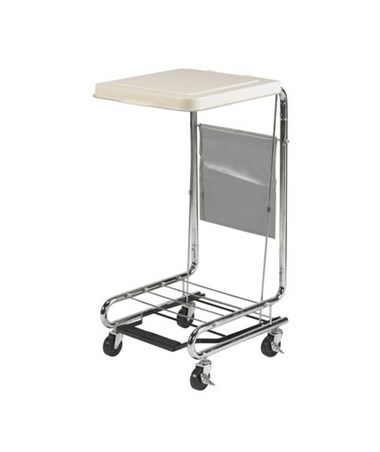 Glides easily with 3" locking casters. Non-slip pedal raises the white, poly-coated steel lid. Lid measures: 18" x 19 1/2"